Got music on your mind? Keep your toes warm with these stylish cotton blend socks. 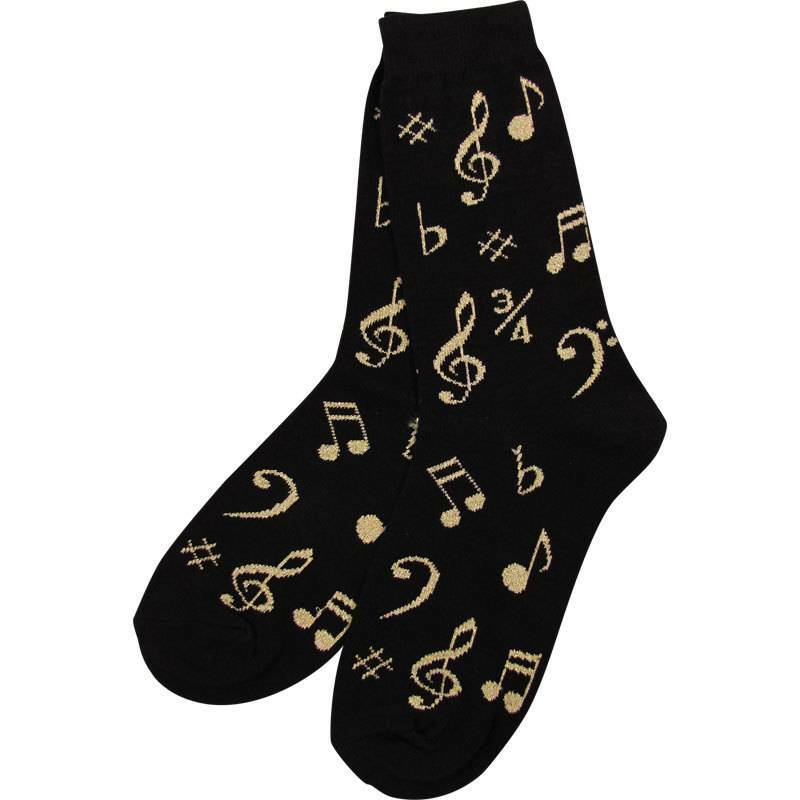 Black sock with gold note pattern.